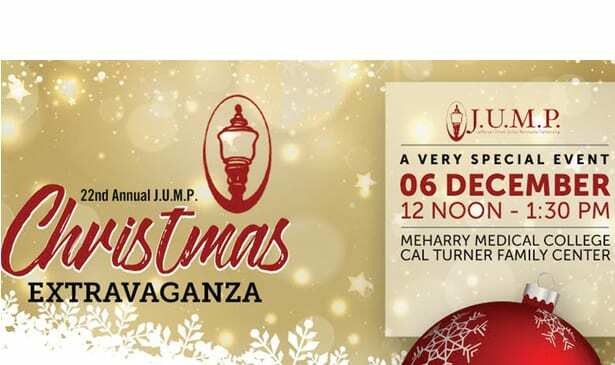 NASHVILLE, TN — J.U.M.P is proud to announce the celebration of their 22nd year! It’ll be held on Thursday, December 6 from noon-1:30 pm at the Cal Turner Family Center at Meharry Medical College, 1011 21st Ave. North in Nashville. This year, we have continued our mission, which highlights our commitment to elevating awareness of Jefferson Street and the surrounding North Nashville community. Save the date and help us celebrate! We are extremely proud of all the work accomplished this year and look forward to getting a J.U.M.P on things to come.